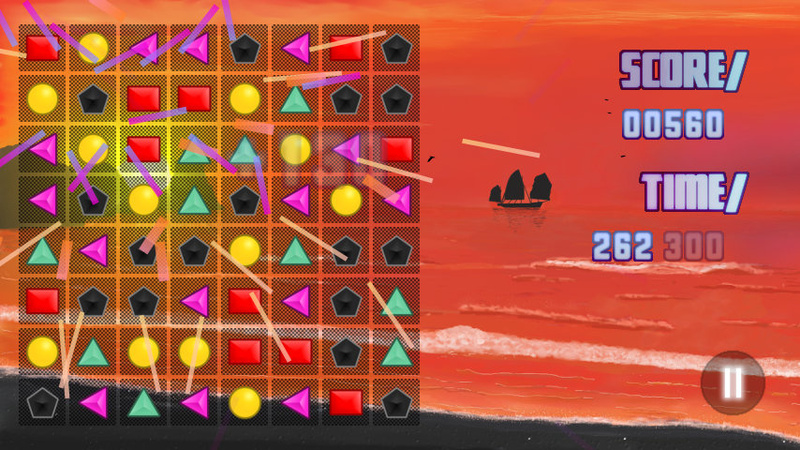 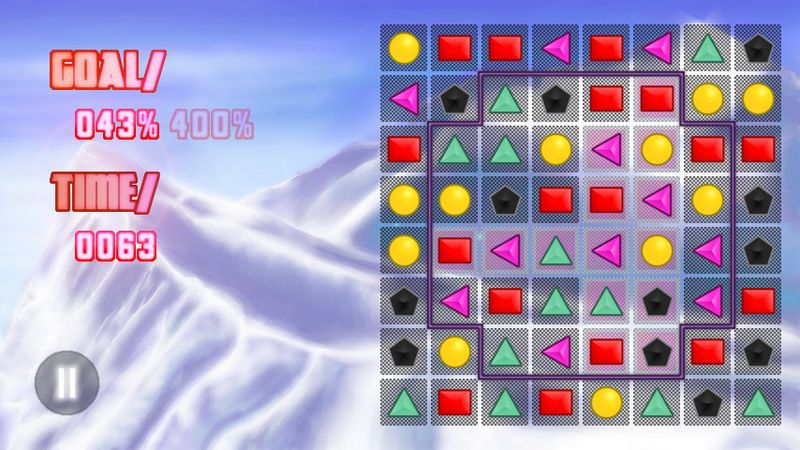 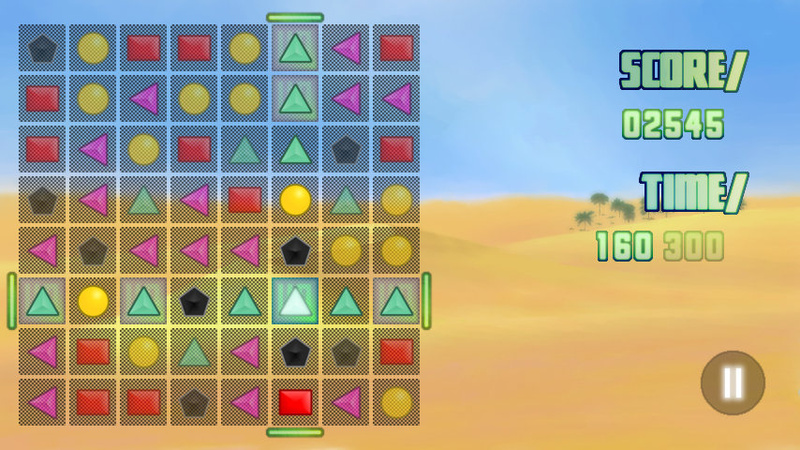 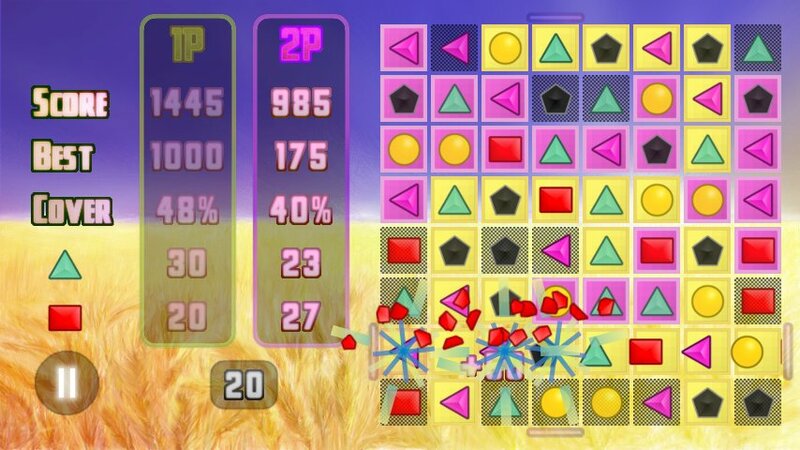 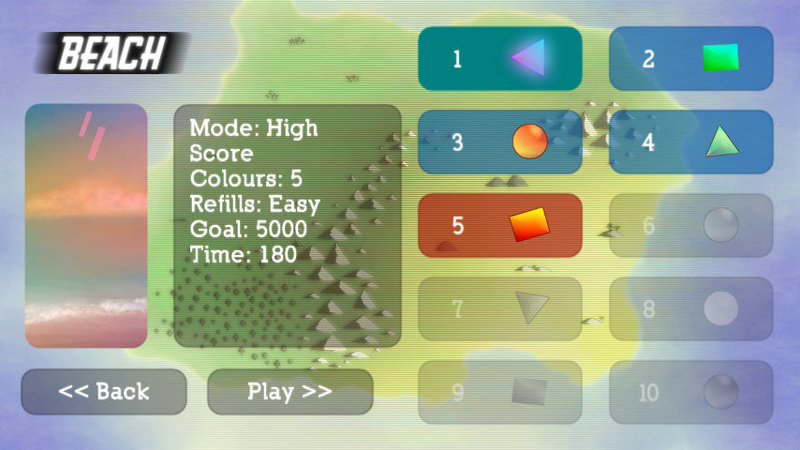 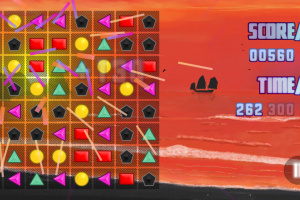 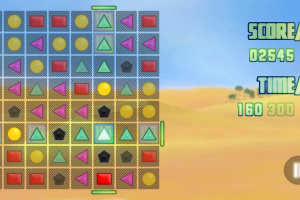 Aenigma Os is a colours-based puzzle game with the focus on player skill, rather than luck. 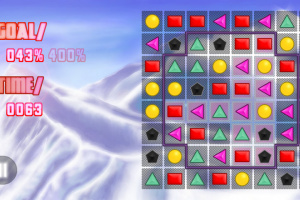 The game's mechanics offer a much higher degree of freedom to the player than can be found in similar titles. 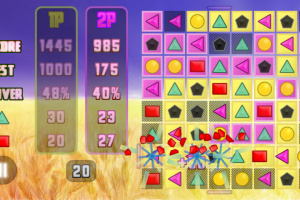 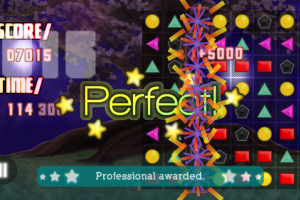 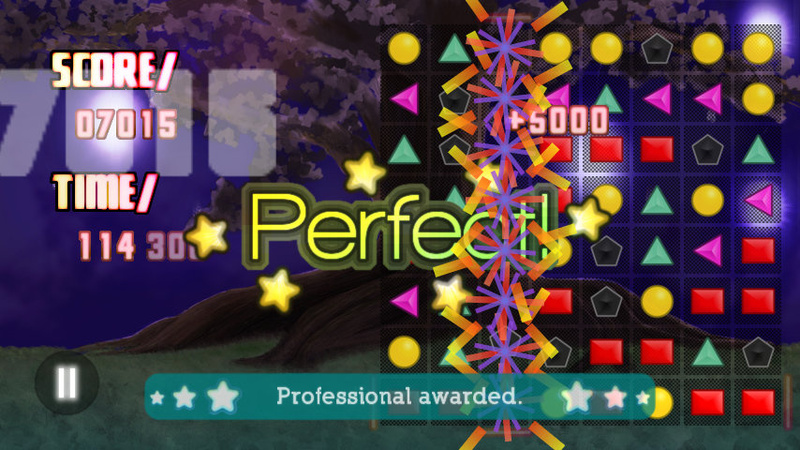 With matches able to contain gaps, there is always a large number of potential matches on screen, and the player is given complete control over the direction of the remaining pieces' movement once a match is made. 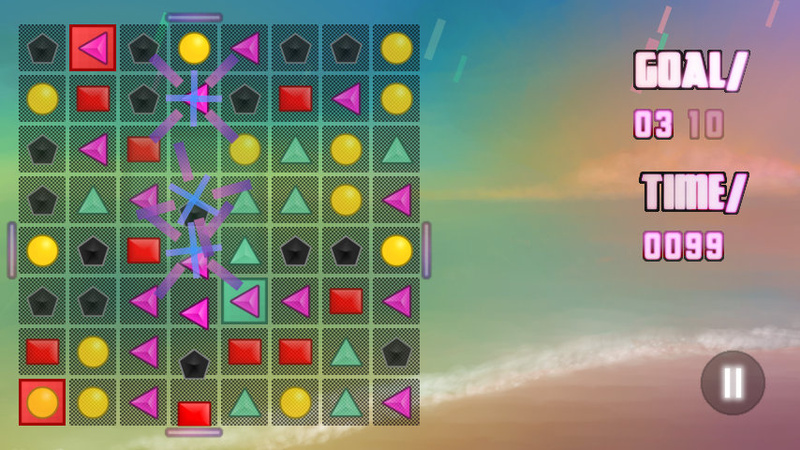 These two facets combine to give the player much more choice when deciding what move to make, and with skill and practice it becomes possible to plan several moves in advance - manipulating the grid to move key pieces to exactly where they are needed. 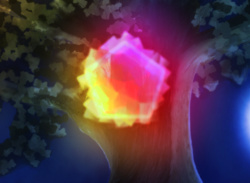 The experience is the definition of simple to pick up, yet difficult to master. 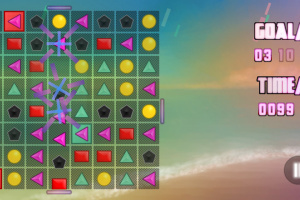 The different modes of play then put different spins on these core mechanics, requiring different kinds of interactions with the grid and often promoting wildly divergent approaches and strategies. 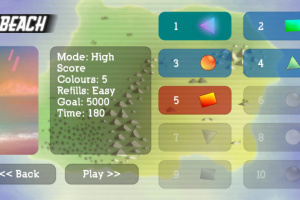 With the variety and volume of content on offer it will take most players 20+ hours to see everything Aenigma Os has to offer.